Discover gorgeous suites with ocean views and gourmet dining in a breathtaking destination on Mexico's golden coast. Grand Velas is an all-inclusive luxury resort with packages that seduce your senses and rejuvenate your spirit. It's always wonderful to experience the best of the best. That's how we felt at Grand Velas. 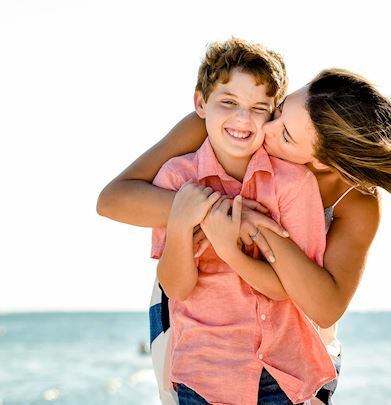 Surprise your loved ones this summer with an unforgettable getaway to Mexico's treasured destinations. Enjoy incredible activities for all amidst the best weather of the year. Spa credit for teens (ages 13 to 15) per night. Applies to facials, massages and body wraps with a duration of 50 minutes or more; does not apply to beauty salon, Spa boutique or Water Ceremony. Spa credit cannot be transferred from one guest to another, accumulated, redeemed for cash or combined with any other promotion. Unused balances will not be refunded. Water Ceremony and all Spa services require reservation directly with the Spa or through your Concierge. Does not apply on outdoor spa treatments. 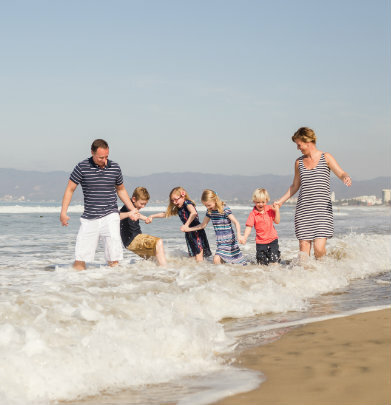 Make this holiday season one to remember on the golden sands of the Bay of Banderas. From Christmas to New Year, you'll enjoy our warmth of service and luxury services. 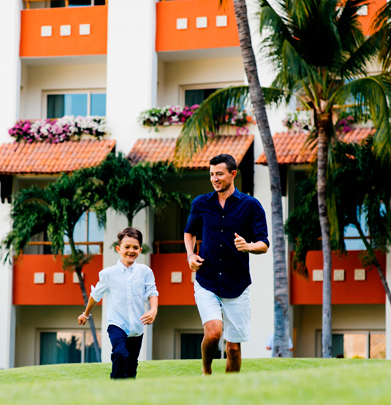 Facing the azure waters of Banderas Bay, white sand beaches and green fairways this resort will captivate your senses. "Perfect location, great service, delicious food, panoramic ocean view..."
A vacation not just for the Pros! 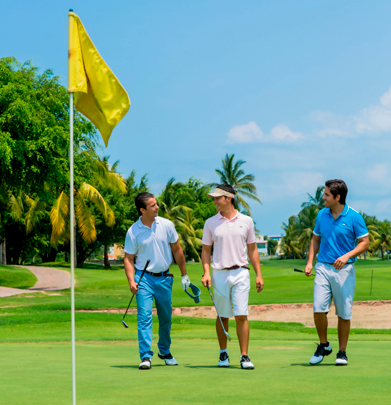 This world-class golf course offers the perfect green to tee-off an unforgettable getaway in Puerto Vallarta. Minimum stay of two nights. Rates are subject to availability and may change without notice; listed in USD and applies for 2 people, per night and per experience in selected occupancy. Not valid for groups and cannot be combined with other promotions or packages. Valid for individual, new reservations only. Tours and Spa treatments must be reserved 2 weeks in advance. 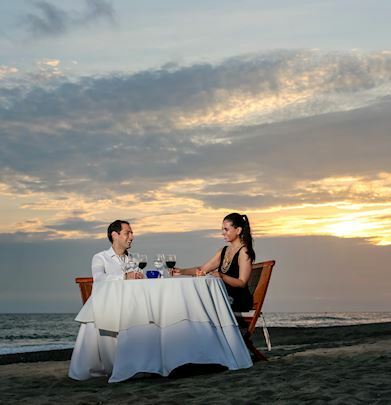 Celebrate the beginning of your new stage of life and escape to one of the most romantic hotels in Riviera Nayarit, the perfect destination for an unforgettable honeymoon. 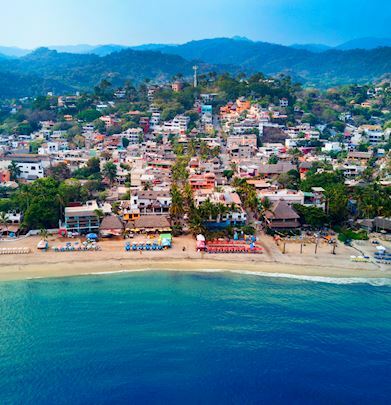 Enjoy the best weather in Puerto Vallarta on your local adventure, guaranteed to turn you into a local expert! Detoxify, destress, nourish and restore at Grand Velas Resorts, with wellness experiences for body, mind, and spirit.